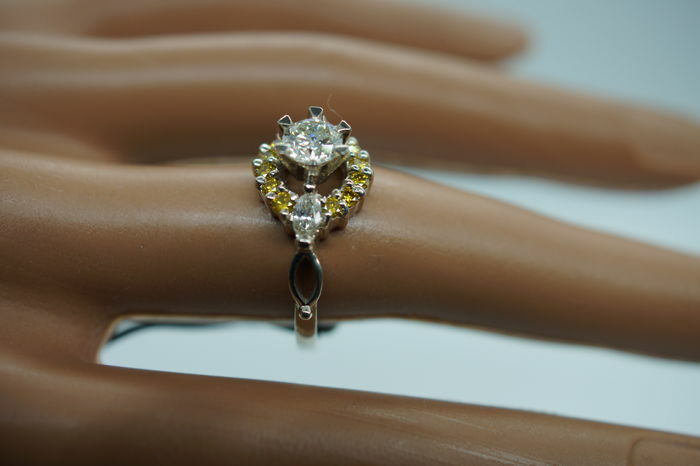 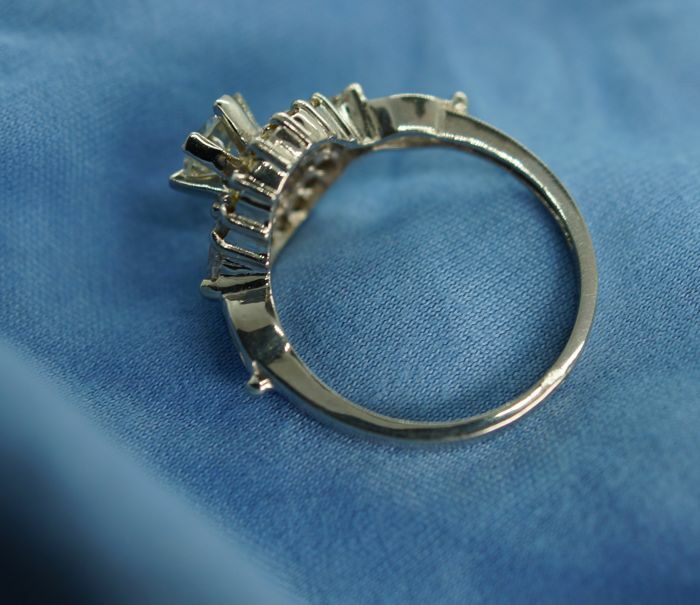 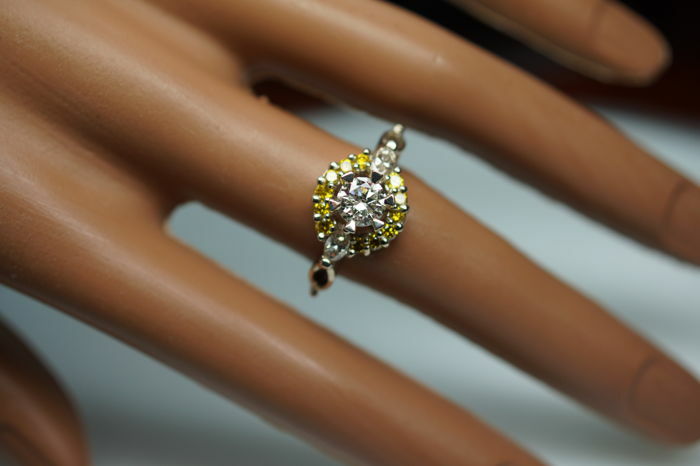 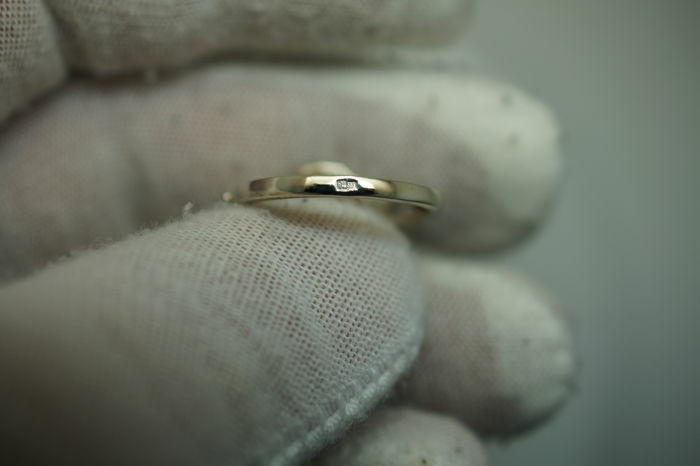 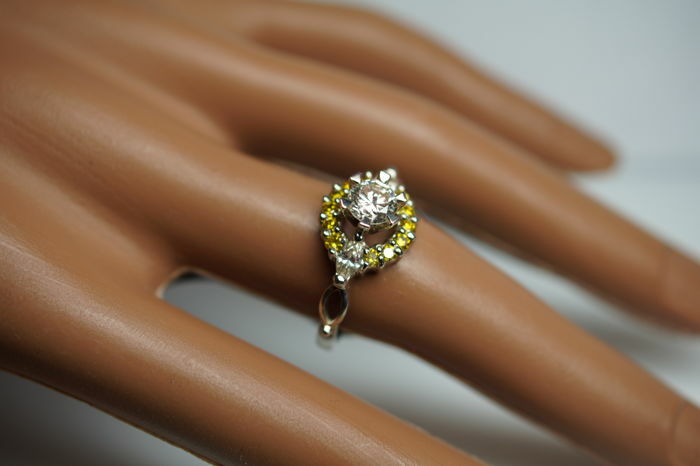 14 kt gold ring, weight: 3.90 gr. 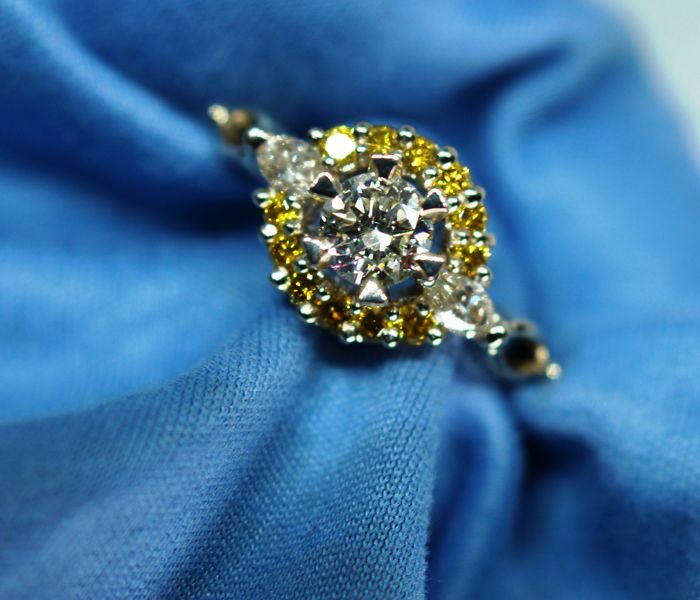 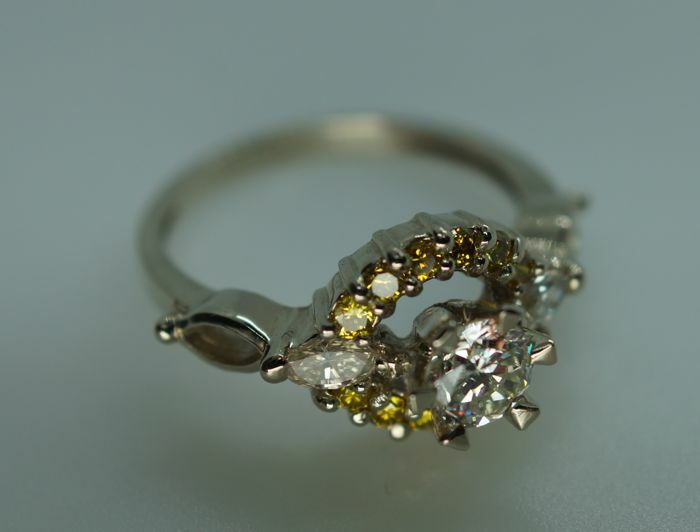 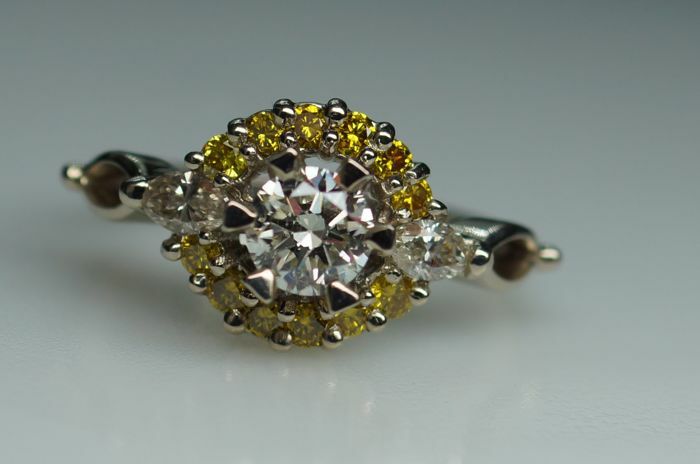 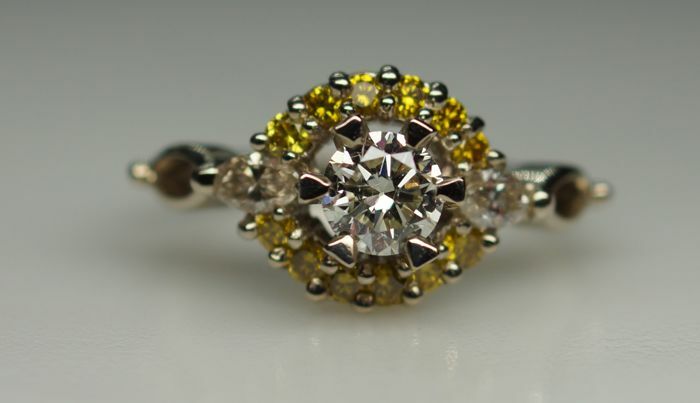 12 brilliant cut natural diamonds totalling 0.40 ct, colour yellow ; clarity: VS1; very good cut, proportions and symmetry. 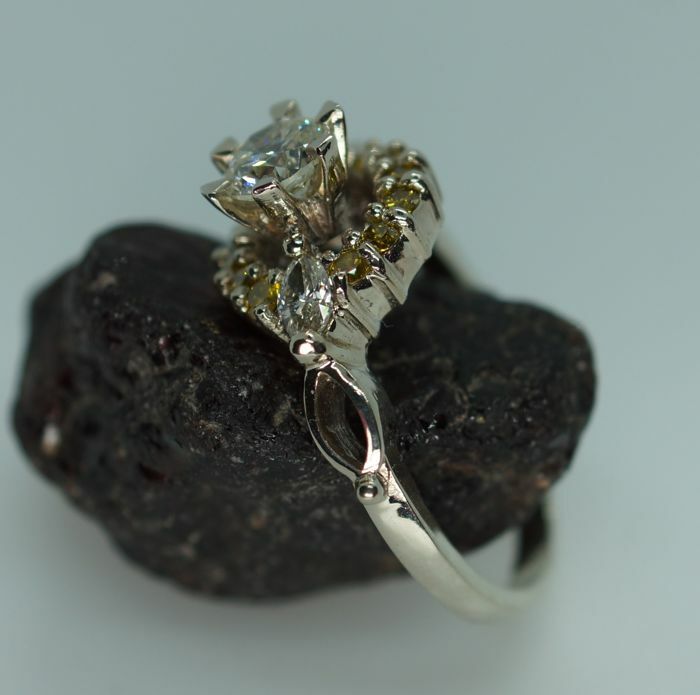 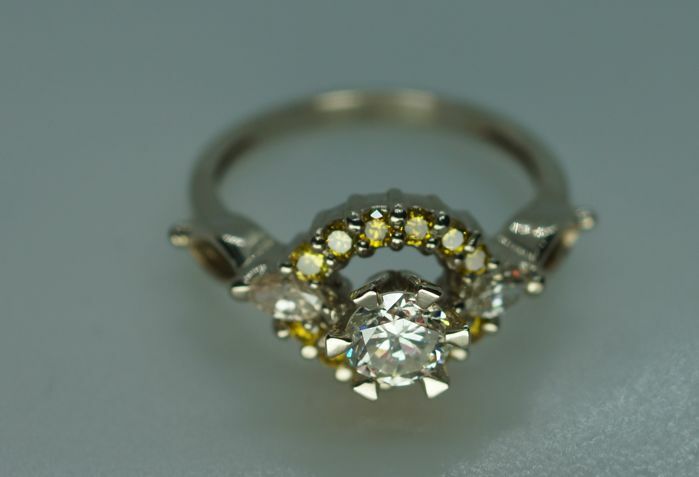 2 Marquise cut natural diamonds totalling 0.30 ct, colour H ; clarity: VS1; very good cut, proportions and symmetry.